How far away is a Zika virus vaccine? As the Zika virus grabs headlines around the world, scientists have quickly turned their attention to trying to develop a vaccine. The World Health Organization warned this week that the virus is "spreading explosively," and currently, there is no vaccine, no cure and no effective treatment. 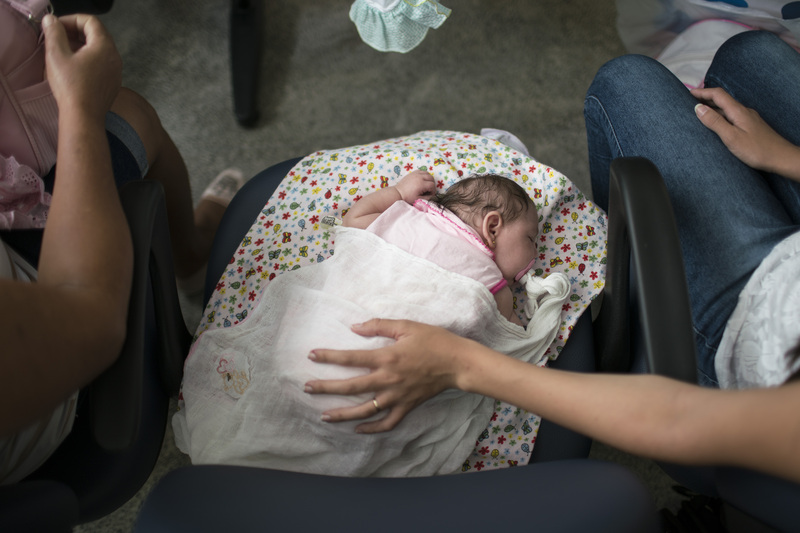 The virus is spread by mosquitoes and health officials say it is strongly linked to a spike in birth defects in Brazil. Some patients also developed Guillain-Barré syndrome, an illness that can cause paralysis. Zika virus was first discovered in 1947, but this is the first outbreak that has occurred in the Americas and the first time scientists have seen such severe complications in people who were infected. Because past outbreaks tended to be mild and limited, almost no research has been done in terms of developing a vaccine or cure. NIH official: Zika outbreak "spreading explosively"
"We, prior to this time, have not spent anything on Zika," Dr. Anthony Fauci, director of the U.S. National Institutes of Health's National Institute of Allergy and Infectious Diseases, said during a CDC press briefing on Thursday. That is quickly changing as NIH is bolstering research efforts to combat Zika. Fauci said that while Zika virus itself has received little NIH funding in the past, it is part of a virus class called flavivirus that receives approximately $97 million in research support annually. Researchers will draw from this pool to fund their studies. He said research done during previous battles with other mosquito-borne viruses, like West Nile and Dengue, will serve as a jumping off point to developing a new vaccine. But Fauci was quick to point out that such research takes time. "It is important to understand we will not have a widely available safe and effective Zika vaccine this year and probably not in the next few years," he said. However, Fauci said a phase 1 clinical trial -- in which researchers would test a vaccine in a small group of people to determine its safety -- could get underway within the calendar year. That would be followed by additional phases of testing to prove its effectiveness and safety in a larger population. Fauci described two potential approaches to developing a Zika vaccine. The first is a DNA-based strategy similar to one employed in a vaccine for West Nile virus, in which a piece of the virus's genetic structure is inserted into another harmless virus and used to create an immune response in the patient. The second, more traditional approach would use a live attenuated vaccine in which the virus has been weakened to prompt immunity. Dr. Christina Leonard, an infectious disease specialist at Spectrum Health, a not-for-profit health system based in West Michigan, explained some of the challenges researchers face while trying to create a vaccine. "The first hurdle that researchers encounter when developing a vaccine is finding the right piece of the virus to use," she told CBS News. "A single species of virus can have different strains, and different strains are put together with different pieces, so you need to find a piece that is common to all (or most) strains of the virus. Once researchers isolate the right piece, they have to figure out how to mass produce it and package it into a pill or an injection that can be given to humans. Once all that is done, they start clinical trials." Health officials say studying past outbreaks helps to further their knowledge of mosquito-borne illnesses that will enable them to better respond to future threats. "We need to look at Zika virus in its context, as the latest in a series of mosquito-borne diseases that have expanded their reach in the last 20 years or so," Fauci said. "There will almost certainly be others. We need vaccine platforms that can be quickly modified for protection against emerging new threats, and we need broad-spectrum antiviral drugs effective against whole classes of viruses." Zika virus is currently spreading in more than two dozen countries, mostly in Latin America and the Caribbean. The CDC has confirmed more than 60 cases in the U.S., all but one in people who contracted it while traveling abroad. Pregnant women are urged not to travel anywhere that the virus is actively spreading. The World Health Organization is warning that there could be 3 to 4 million cases of Zika in the Americas over the next year. It is convening a special meeting next week to decide if the outbreak should be declared an international health emergency, which would mobilize more global resources to fight the disease. While experts say they expect to see more cases in the U.S. -- and even some that are transmitted locally -- they believe a major outbreak here is unlikely. "Our experience with Dengue and chikungunya and the different living conditions lead us to believe that any outbreaks of Zika in the continental U.S. will likely be limited," Dr. Anne Schuchat, the Principal Deputy Director of the CDC, said. "Of course this virus is fairly new to the Americas and we will remain vigilant."